Applications The reflective sheeting is mainly used for traffic signs of highways, city roads and vehicle which like cars and ships Item No. Q:Can i get some samples for testing before placing order 9 A:Yes, we can provide you some free samples for your reference if you would like to bear the express cost. Q:Can you make other sizes and packages for this product9 A:Yes, we can make other sizes as your requirement, normally our quotation will contain the common package. Guangdong Youguang Reflective Material Co., Ltd.
,Ltd is a professional reflective material high-tech enterprise integrating scientific research ,manufacture, sale and service. 2,Can I get some sample before order9 Yes, The sample provided free of charge. 3,Can you help me to OEM9 Definitely, TID accept processing, OEM, other cooperation methods, and we hope to provide you the help you need so as to seek development permanently together ! Jinhua Hooly Safety Imp. & Exp. Co., Ltd.
Q2. What kind of packing you have9 A : Generally, we pack our goods in neutral white boxes and brown outer cartons. Q6. Can you produce according to the samples9 A : Yes, we can produce according to your samples or technical drawings. Q7. What is your sample policy9 A : We can supply small samples in stock according to customer's demand, customers need to pay for the shipping cost . 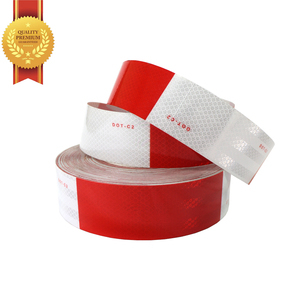 Alibaba.com offers 2,553 retro reflective tape products. About 85% of these are reflective material, 1% are adhesive tape, and 1% are other textiles & leather products. 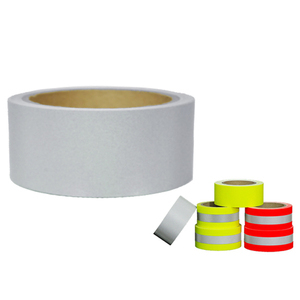 A wide variety of retro reflective tape options are available to you, such as free samples, paid samples. There are 2,547 retro reflective tape suppliers, mainly located in Asia. The top supplying countries are China (Mainland), South Korea, and Singapore, which supply 97%, 1%, and 1% of retro reflective tape respectively. 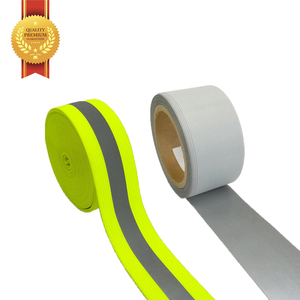 Retro reflective tape products are most popular in Domestic Market, North America, and Western Europe. You can ensure product safety by selecting from certified suppliers, including 470 with ISO9001, 180 with ISO14001, and 149 with BRC certification.